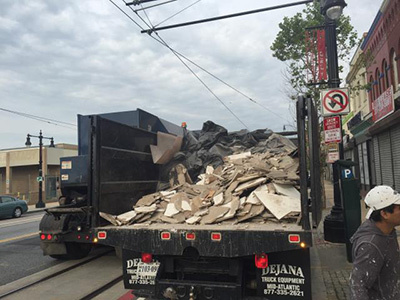 If you operate a commercial business such as a construction company, remodeling company, roofing company, or have taken on construction projects at home, consider outsourcing the clean-up to the professionals Mack Hauling junk removal services. 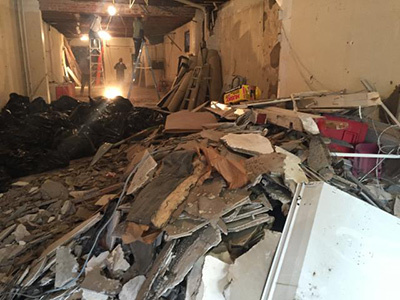 We clean up construction sites and remodeling areas with attention to detail until the very last shred of debris is gone. 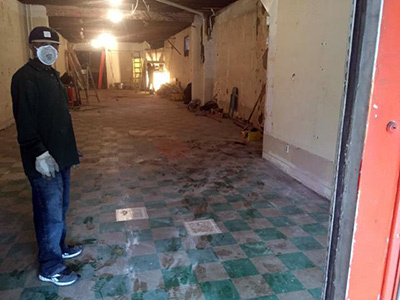 We provide junk removal services for businesses, big or small. Whether you have a few unwanted items in your office or you need an entire office building cleaned out, we can take care of the junk. We lift. We load. We haul. All You do is Call. And we mean it! You won’t need to touch a thing. Just give us a call to schedule your junk removal and our team will arrive at your location at a time that is convenient. 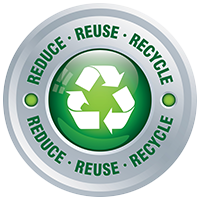 We provide up-front, all-inclusive pricing as well as quick removal, recycling, and disposal of your unwanted items. Hiring Mack Hauling eliminates the hassle of getting a dumpster, running to your local governmental city agency to get the required permit and being charged for it, potentially damaging your driveway or your lawn, and having someone else fill up your dumpster while your sleeping!